New Navigator - the old AGX navigation has been replaced with a nice streamlined navigator that is over the map rather than on a dock. Much more of what to expect with a digital globe. File Import “Wizard” - Bring in text files of address and such. 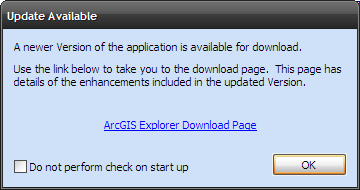 No Excel support yet, but given ESRI’s track record with Excel files I’d assume its coming. Improved “Find Place” Task - Those outside of USA will have to vouch for its improved search capability. Improved WMS Support - You can now choose single or multiple layers instead of the groups from before. Much, much better! KML Contents - Slowly ArcGIS is beginning to get KML support. I’m sure we’ll hear about how bad it is, but for now it read in some Arc2Earth KMLs I created without incident. I’m sure we’ll start seeing more appear in the next day, but Build 380 is a huge improvement that anyone who has downloaded A350 will want to give it another go. Update - Sebastian Good takes a detailed look under the hood of AGX Build 380.